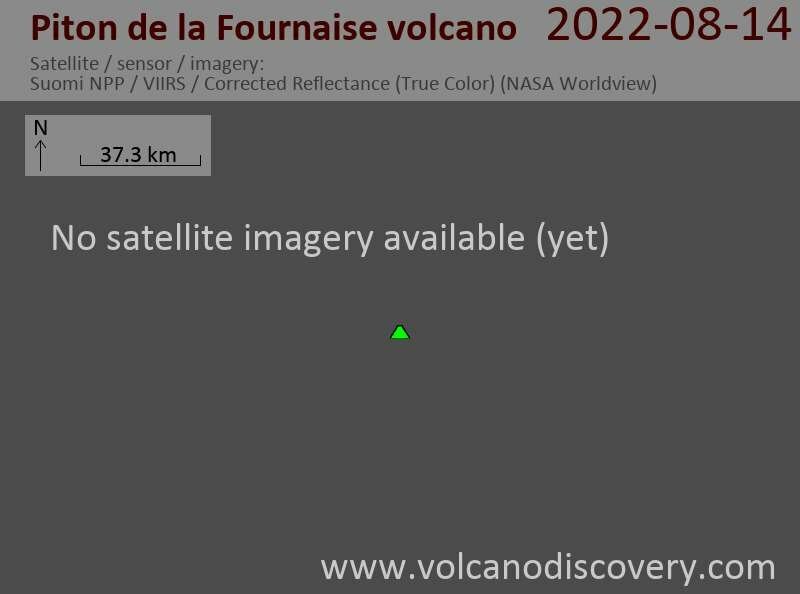 The eruption that began last Monday continues. Lava output is much lower now (approx 10 cubic meters / second) than in the beginning (30 cu m/s), but more or less stable. Bad weather during the past two days prevented more detailed observations. A heavy cloud of volcanic vog (SO2 droplets) encompasses most of the Enclos and parts of the southern La Réunion island.